Come Out and Play in Clawson! A free, fun day at the park with inflatables, face painting and activities. Assist with retro games, registration, inflatables, zip line, concert, face painting, popcorn and event set-up and tear down as needed. 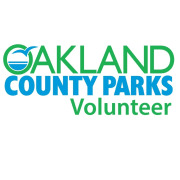 If you are a new volunteer please complete our volunteer application on our website https://www.oakgov.com/parks/getinvolved/Pages/Volunteer.aspx.